The former Governor of Bihar will visit Bihar today, his first trip to the state after assuming office earlier this year. 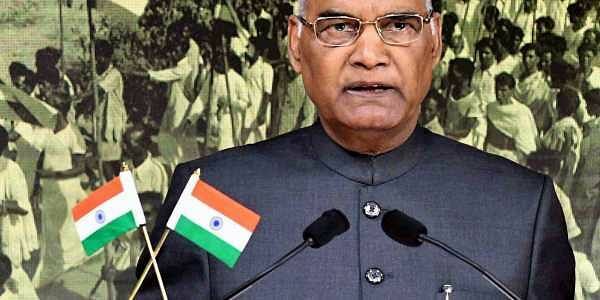 NEW DELHI: President Ram Nath Kovind will visit Bihar today, his first trip to the state after assuming office earlier this year. He will commence his visit by paying tributes to Dr Rajendra Prasad, the first President of India, at his statue at the Dr. Rajendra Prasad Golambar in Patna. The former Governor of Bihar will also launch the Bihar Krishi Road Map 2017-2022 at Samrat Ashok Convention Centre in the capital city. Later in the day, he will pay tributes to freedom fighter Jayprakash Narayan at his statue at the Jayprakash Golambar. He will leave for Delhi on the same day.